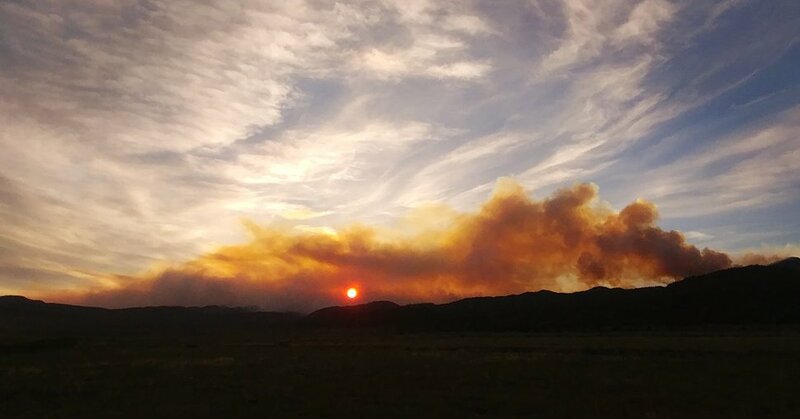 (Photo courtesy Box Elder County) The Rough Canyon Fire in Box Elder County was one of at least four wildfires across Utah on Wednesday. Officials estimated the blaze to be more than 500 acres and growing. There’s one wildfire in Utah burning entirely on private land. It’s the Rough Canyon Fire in Box Elder County. And it’s burning on the Washakie ranch owned by the polygamous Kingston Group between the towns of Plymouth and Portage. Thursday, the weather there cooperated with firefighters. The Rough Canyon Fire is listed as having burned 5,421 acres. It was 80 percent contained as of Friday evening. Fire officials don’t expect the fire to grow. Jason Curry, a spokesman with the Utah Division of Forestry, Fire and State Lands, on Friday said humans are suspected of starting the Rough Canyon Fire, but the exact cause hasn’t yet been determined. Photo courtesy of U.S. Forest Service | Smoke billows from the West Valley Fire near Pine Valley, Utah, on June 28, 2018. Fires continued burning across Utah on Friday, though none appeared to be imminent threats to homes. The West Valley Fire, near the southwest Utah community of Pine Valley, grew to 7,724 acres on Friday. It was zero percent contained. Authorities believe an abandoned campfire sparked the blaze, according to a news release from the U.S. Forest Service. The release said smokejumpers are working near the origin of the fire and were holding the south flank. Bulldozers and handcrews were working on the north side of the fire to ensure it didn’t threaten the town of New Harmony. Forest Service spokeswoman Sierra R. Hellstrom said the winds had died down Friday and crews had been able to make a lot of progress throughout the day and hoped to have some of the fire contained Saturday. She added that the fire was now creeping slowly along an old fire scar, and she didn’t anticipate any imminent evacuations for nearby residents. The Pine Valley area is home to aspen, spruce and fir. Around Minersville, where the Black Mountain Fire has burnt 5,988 acres centered 3 miles north of town, the fuels are pinyon, juniper, sage brush and grasses. The Black Mountain Fire, which authorities have said was caused by a vehicle accident, was about 30 percent contained by Friday. About 150 people are working the fire, which is threatening a seasonal cabin and communications tower, according to a news release from the firefighting team. There was good news on another southwest Utah fire. 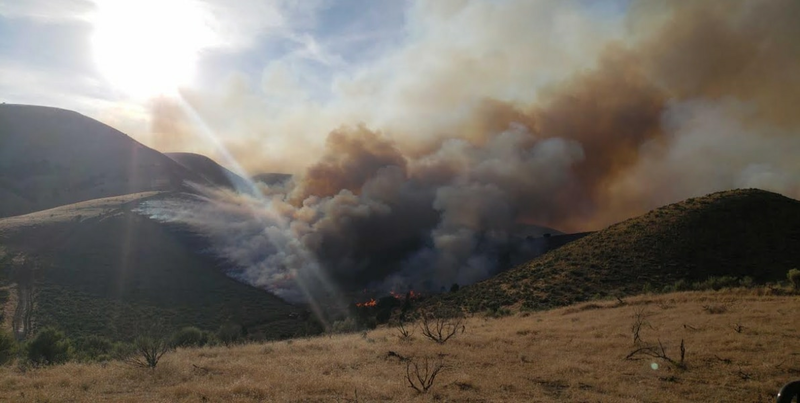 The Dry Canyon Fire, near State Road 143 between Parowan and Brian Head, was 95 percent contained with full containment expected Saturday. Firefighters had been concerned about the blaze approaching the road between the towns. Officials also believe the Dry Canyon Fire was caused by humans, though the specific cause is still under investigation. The National Weather Service said gusty winds and low humidity will continue to produce weather conditions favorable to fire through Saturday in Utah. While temperatures are predicted to be in the 70s Saturday in Salt Lake City, valleys in the southwest portion of the state are expected to reach 100.